Pies are just about the easiest things to dress up, about a million times easier than a cake, and tell me who doesn't like extra crust with their pie. Actually, don't answer that. 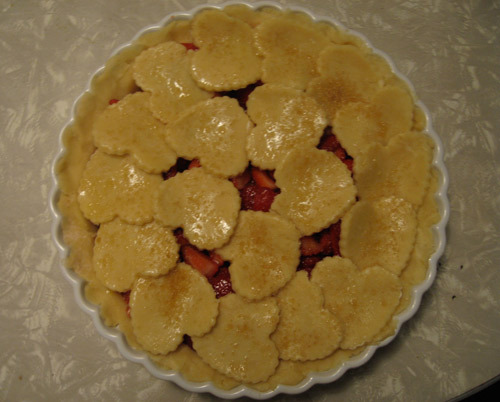 Because I will have to judge you if you don't like pie crust. Here are some fun ideas for dressing up your Thanksgiving pie! A little sugar dusing makes it even prettier! There are about a million ways to dress up your pie. 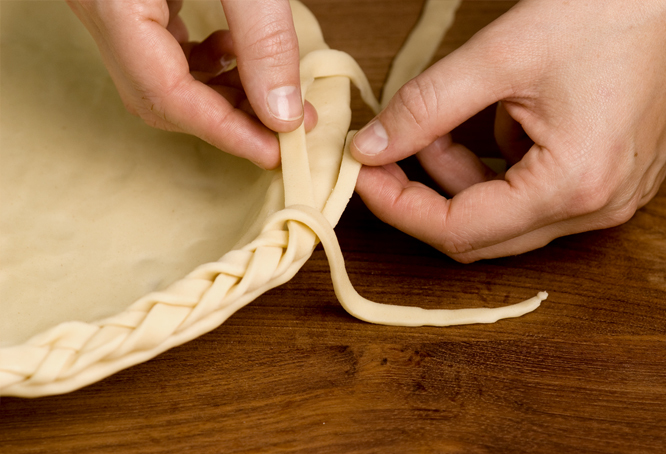 What is your pretty pie trick? I'm not much of a pie maker or eater but all those are beautiful! These are fabulous. 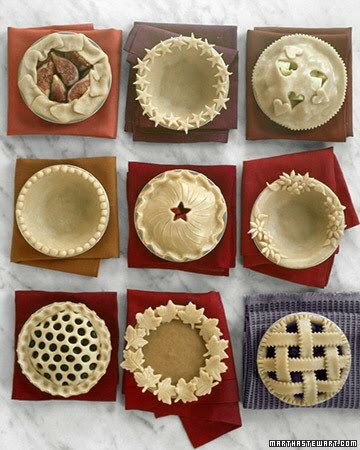 I wish I could bake a pie like these. Don't forget to check out and enter my Christmas Giveaway! LOVE all those little bitty pies! I am feeling inspired! 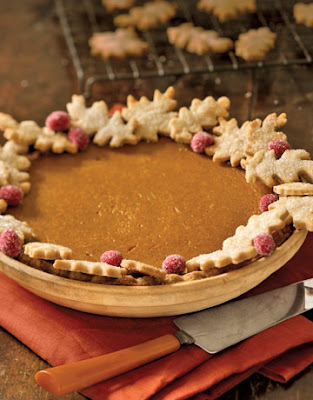 I made some decorative crusts last year...although I think my family barely noticed them. I had to point it out..."See how cute the crust is? See? See?" 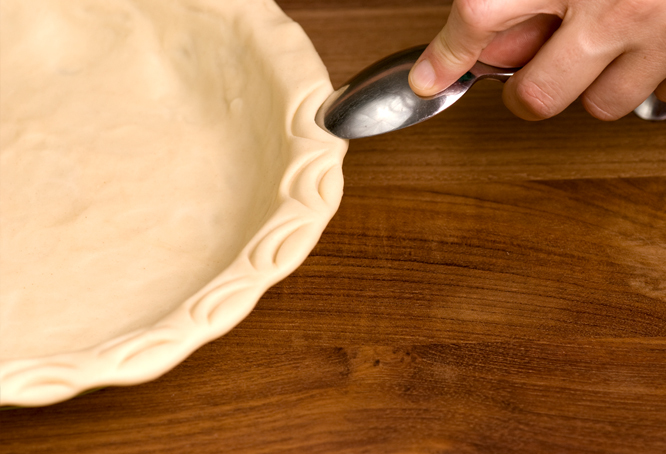 I am not fond of pie crust(please don't judge) I just had a family member that always burnt the crust when I was young and so not fond of it. But I do LOVE pie! Apple is my fav and I love to dress that baby up! It has been a while since I baked one...so I need to get cooking! Lets see if my family will notice this year and appreciate the hard work and love that goes into it! TFS there are some cute ideas on here! I cut out the leaves, dip them in beaten egg, and place them randomly on top. Like the heart idea, but random. Then sugar on top. Is that how people normally do it? I learned it from my sister. I can't eat a pie that doesn't have a ton of crust! 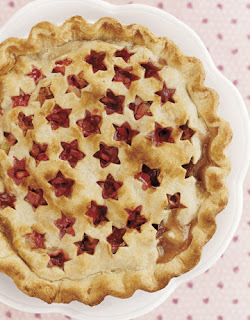 Actually, the only pie I like is berry pie with lots of crust and lots of vanilla bean icecream. Yum! I am excited for Thanksgiving! Others are always impressed when I make a crust of leaves. 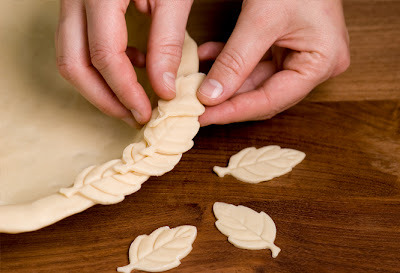 I do need to get a cookie cutter for it though. It takes forever with a knife!